Passover is just around the corner and I decided that I needed to make some small handmade presents. 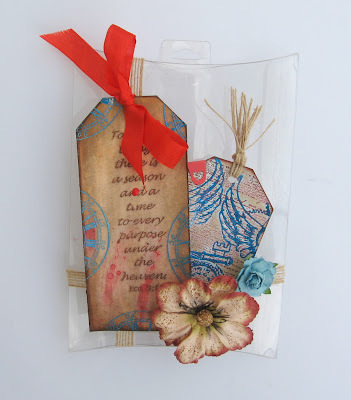 This altered clear box is a pure recycling. . . thanks to Tim Holtz's embossers for such a lovely big pillow boxes to reuse. 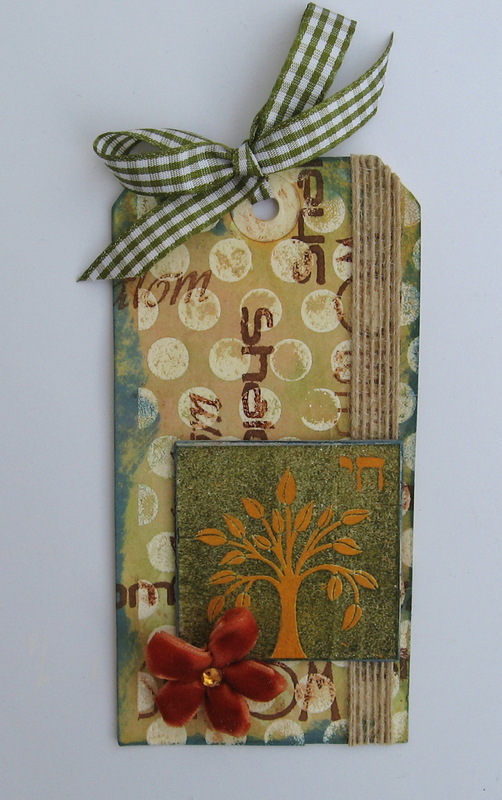 I already made some for Halloween but this one is a very first made for Passover tags. Thanks dear The Rubber Cafe for those fantastic Jewish stamps! So the box was altered and then filled (not to the edge) with 2 more gift tags for future use and I am going to add some sweets too, but later. This is the full box view with both tags inside. Here is an empty altered box. For the box, I made 2 tags, using the best ever paper I found - The Rubber Cafe Pugnacious White Signature paper. Just perfect for stamping, heat embossing, inking with water, distressing, and still looks like new! 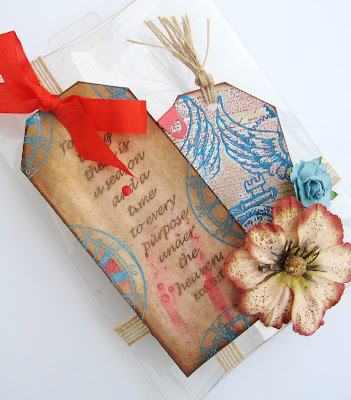 For the bigger tag, I stamped this Ecclesiastes stamp with Truffle ink, and then heat embossed with clear embossing powder. The clock stamp is from the Vintage Treasures set. 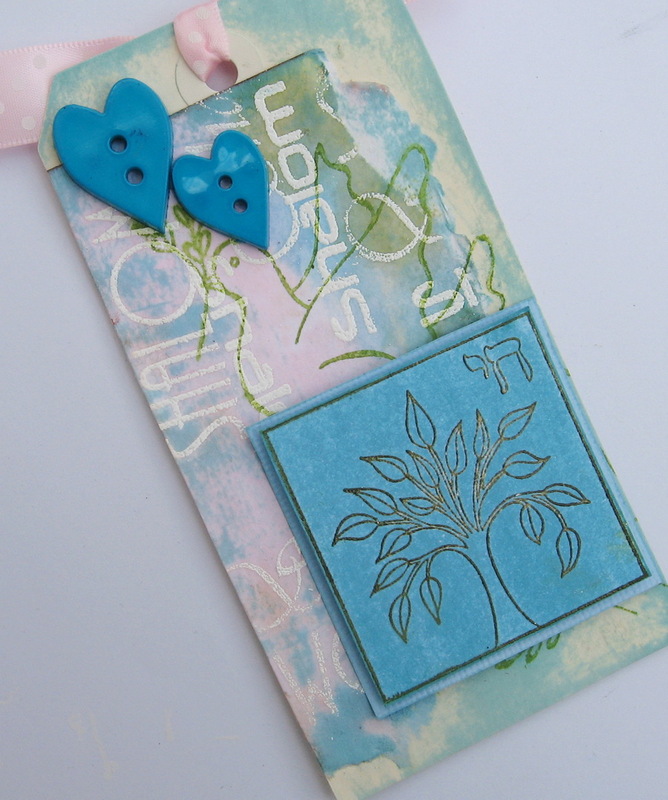 Simply stamped with blue ink several times and heat embossed again. 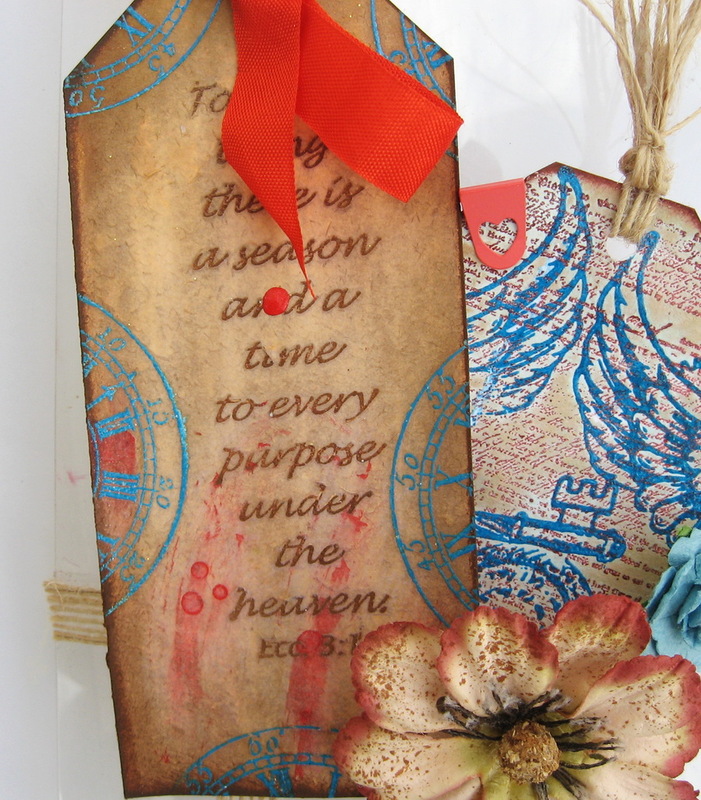 Then all tags were inked with distressed inks, watered, and I added some " blood" drops with red paint. The smaller tag was stamped with the script stamp from the Steampunk Charity Wings set and heat embossed too. 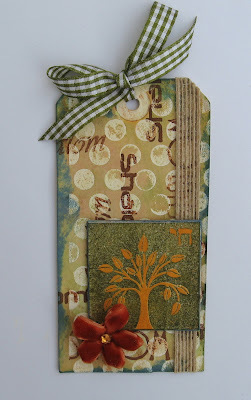 The two other stamps from this set were added and I made the brownish distressed color again. Both tags were adhered with One and Only Glue Tape. The same tape was used to glue the ribbons from the Really Reasonable Ribbon shop. 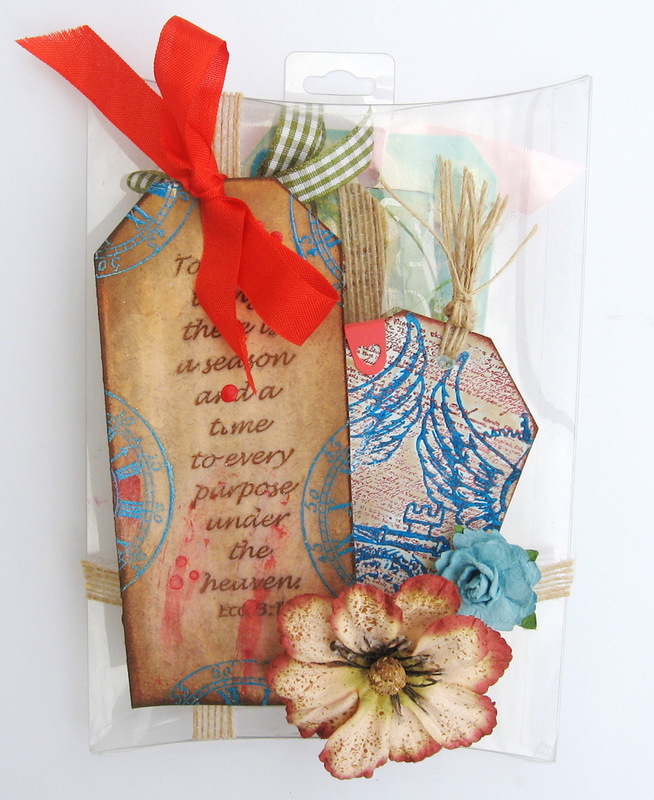 Both tags were also embellished with more ribbons and I added a couple of Prima flowers. The box was done and now for the other tags in the box. 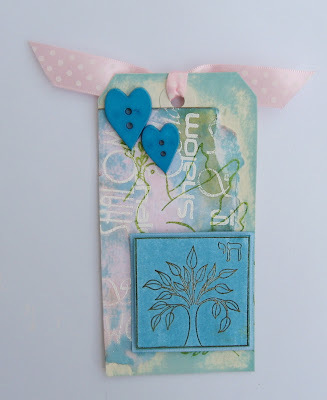 I made 2 completely different tags here: one is pastel and cute. . . and the other is shabby and dark. . . but I actually used the same Tree of Life set. For the pastel tag I made Shalom word stamping- all 3 different stamps with Jasmine ink and clear heat embossing and then added 3 colors of Distress Stains (Broken China, Pine Needles, and Tattered Rose). I tore the piece, glued it with Scrap Happy glue, and stamped the dove over it with green ink. 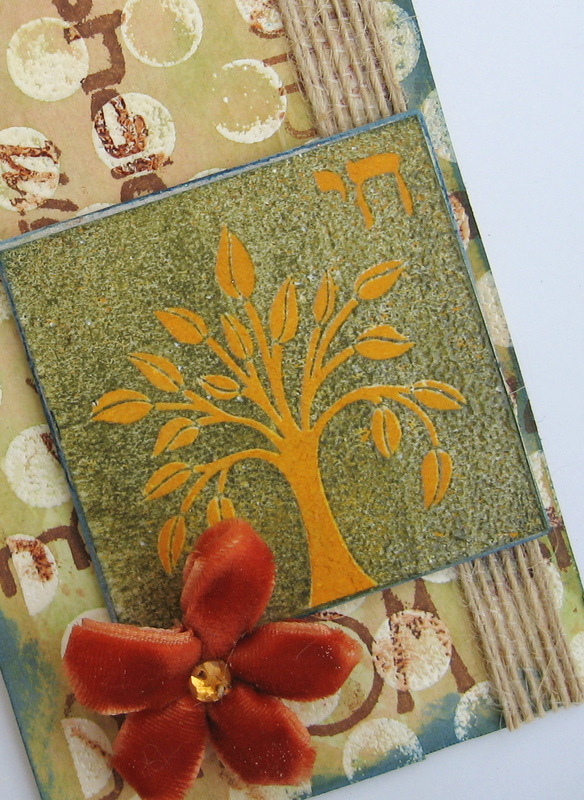 One of 3 tree stamps were stamped, heat embossed, and glued on the corner. Two buttons and Really Reasonable Ribbon again were added to finish this tag. The second tag was made with Basic Backgrounds 2 Dots stamp with white ink. It was then clear embossed. 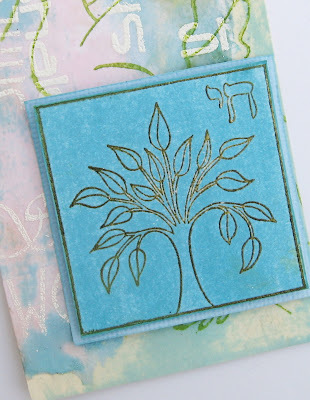 I stamped all 3 Shalom word stamps over it and inked it too with some distress inks. 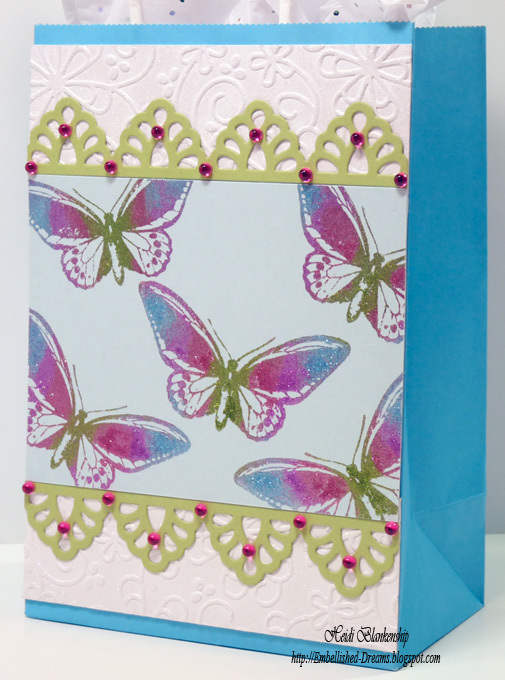 I added a ribbon strip to cover some stamping mistakes (it works, believe me), again with One and Only tape. 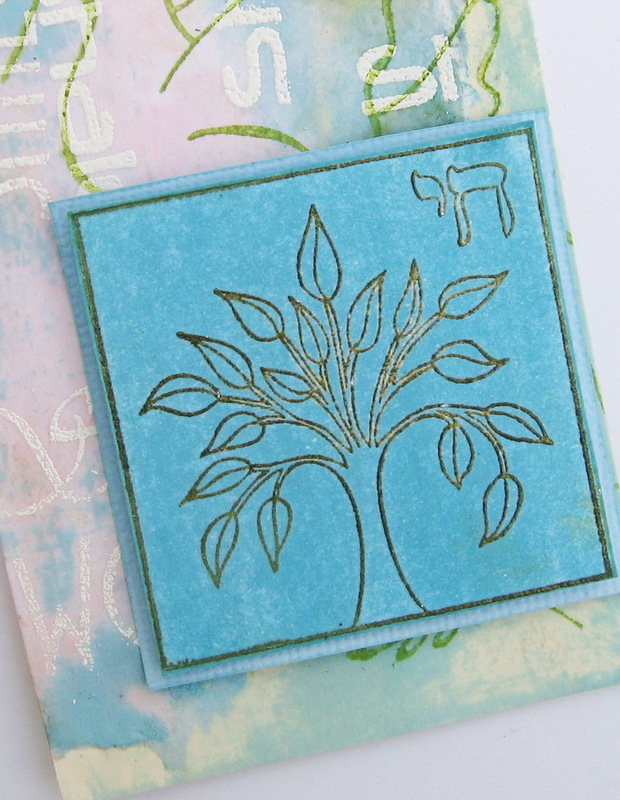 Another tree stamp from Tree of Life was stamped, heat embossed, and inked. 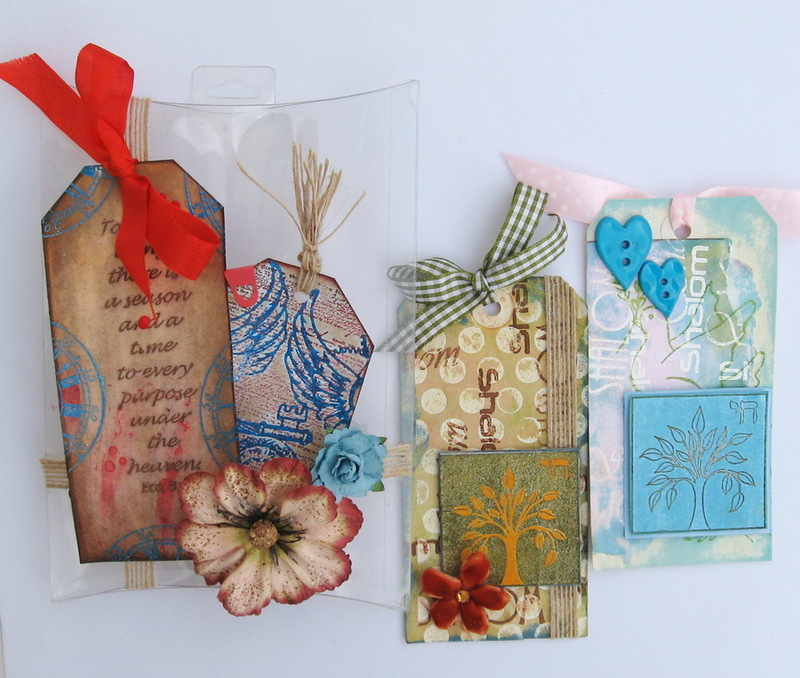 And now the box and both tags again- hope you like them. And to the punch line: Shalom (means PEACE AND HELLO in Hebrew) and is our family name. So I just signed the tags without signing them! See you with my next project and wish you all a very Happy Easter and Passover! Hello! 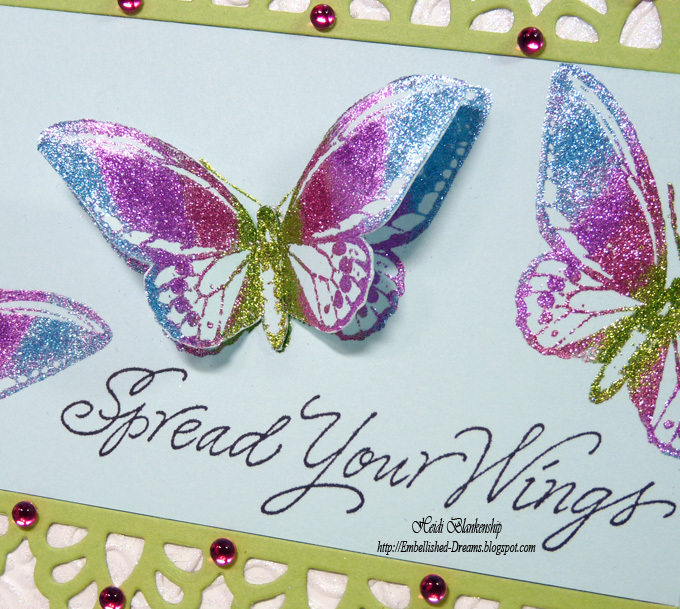 Today, I have a pretty sparkling Spring butterfly project to share with you using some of the great products from The Rubber Cafe. For my project I designed a card and matching gift bag. 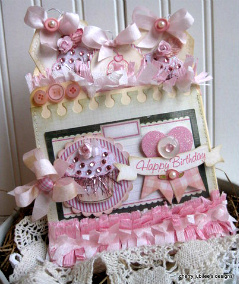 This would be perfect for a Spring/Summer birthday or even for Easter. I love all of the sparkle from the glitter! 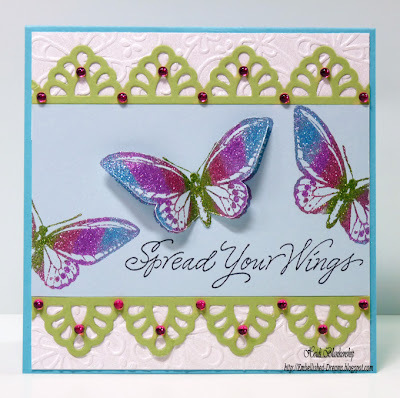 I love using the Scrap Happy Sheer Glue when I am creating! There are so many fun techniques to do with the glue and one of my favorites is stamping. It is so simple and easy to do and the results look amazing! 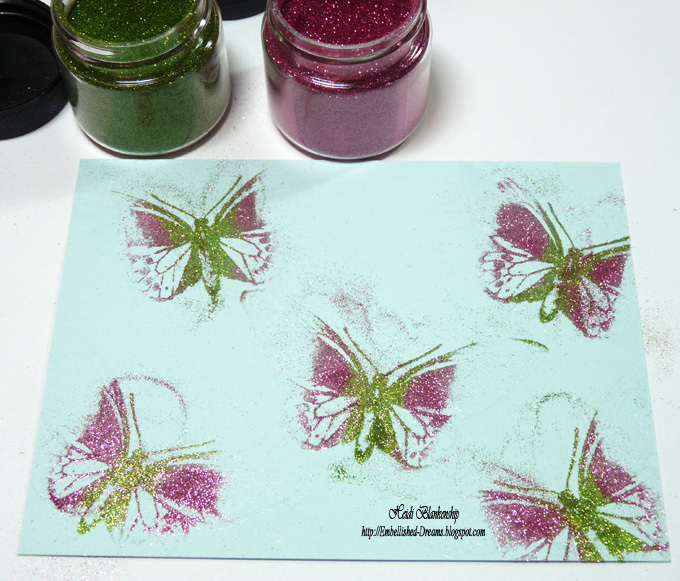 Using a makeup sponge apply the glue directly to the stamp. I like to have a nice coat, not too think--you don't want it to be clumpy. Then I stamped the butterfly image from S-114 Vintage Treasures on to the paper and set the paper aside to dry a little while I wash the stamp quick. It is important to wash the stamp right away with warm soap and water. I also use a little scrub brush to make sure I get into all of the tiny little spots. 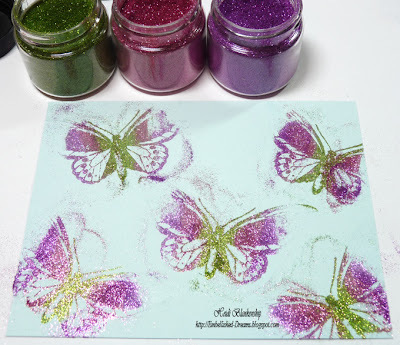 By the time I was done washing the stamp I was ready to apply glitter to the image. I just dipped my finger in the glitter and rubbed it on the image. 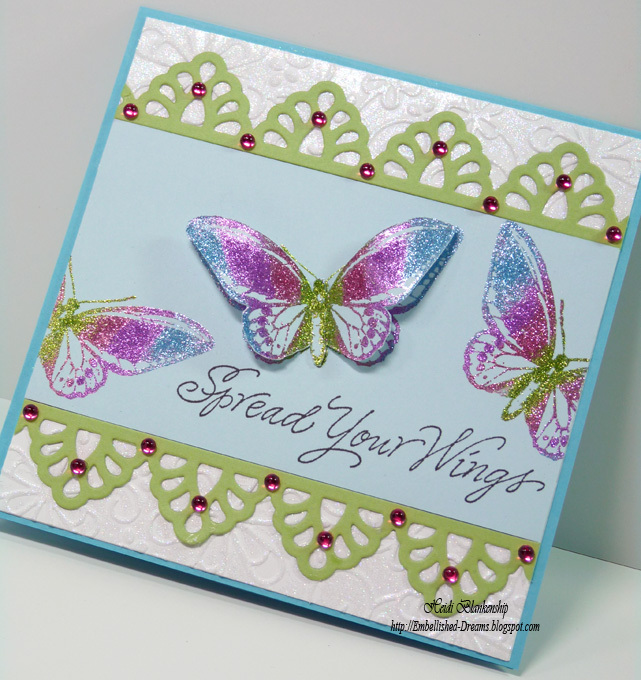 I started with Limeade Green for the body of the butterfly and then worked out to the wings with Princess Pink. Next I added Lilac Purple. Lastly I added Blue Skies. Check out the beautiful and sparkling results! The glitter is so fine that when it is rubbed and buffed on like this it almost looks like it is foil embossed. 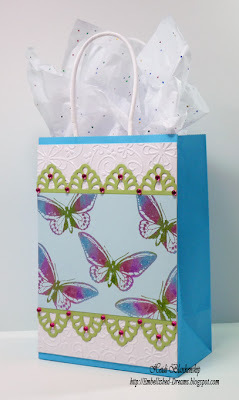 I used all of the same supplies for the card and gift bag. 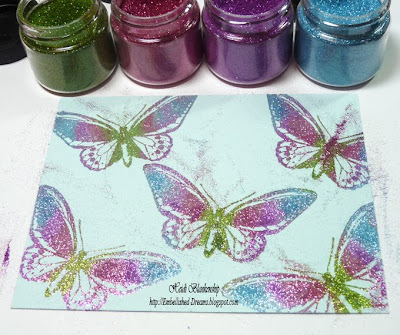 I stamped the butterfly image on to Sno Cone Pop-Tones cardstock, applied the glue and glitter and then stamped the sentiment. I stamped the butterfly on to another piece of sno cone paper and after I applied the glitter I hand cut the butterfly and layered to of the images together on the card front. 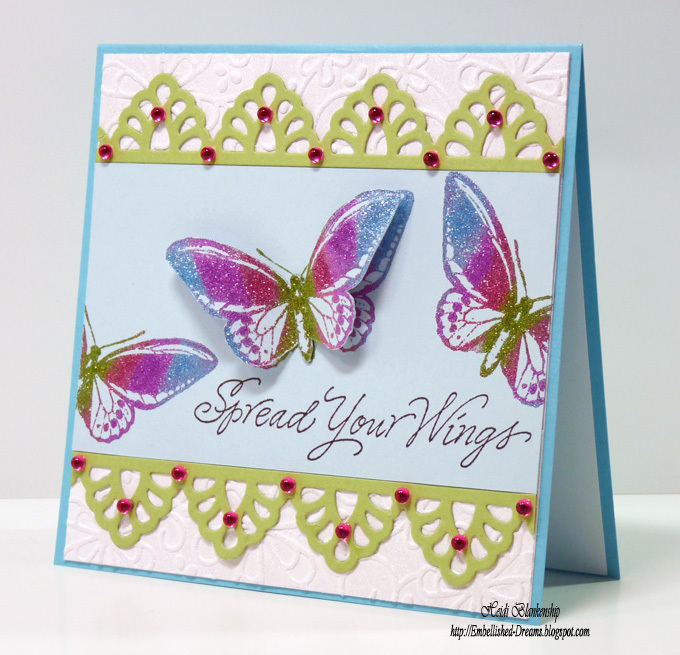 Then I stamped the sentiment from G-771 Spread Your Wings. I used ES-004 Whimsy M-Bossabilities™ Folder from Spellbinders™ to emboss the white cardstock. 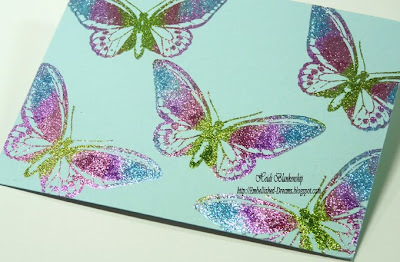 Using a makeup sponge I dabbed glue on to the white paper and applied Diamond Clear Cool Highlights Glitter. To create the boarder I used Sour Apple cardstock and S5-064 Moroccan Accents from Spellbinders. For a finishing touch I added Diva Pink Jellie Dots along the border using the Scrap Happy Sheer Glue and the Stick "EM" Up tool. 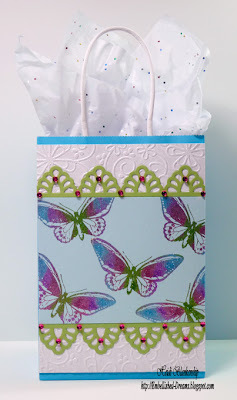 I LOVE this little tool--it's fabulous for adding Jellie Dots, pearls, rhinestones and lots of little embellishments!! I taught a class this last weekend and all of the ladies just loved the Stick "EM" Up tool and said it was a Must Have Tool!! 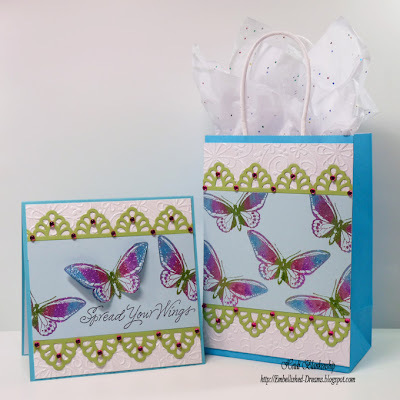 I had a small blue gift bag that worked perfectly with the colors of the butterfly so I decorated the front to match the card. Thanks for stopping by The Rubber Cafe Blog today! 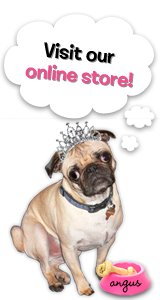 to The Rubber Cafe store! Simply go to our Facebook Fan Page and click on the giveaway link.